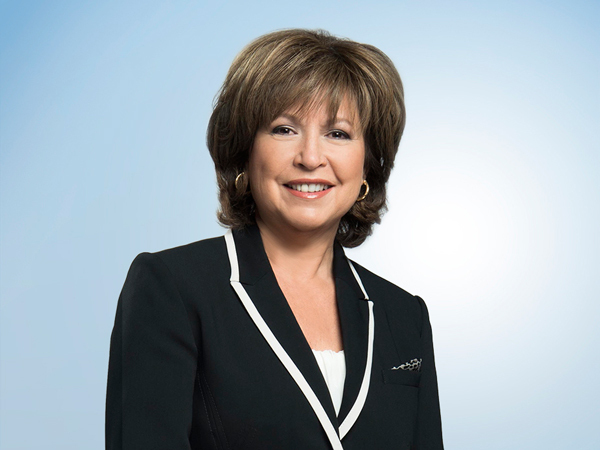 Radio-Canada’s first anchorwoman, Céline Galipeau, will speak on Democracy in the Balance: Journalism in Canada and around the World, as she delivers the fifth annual Jeanne Sauvé Address on Friday, Nov. 7. On Nov. 7, Céline Galipeau will discuss the challenges facing journalists today: security risks, the multiplication of information sources, the lack of financial resources and the consequences for democracy. The event takes place from 4-6 p.m. at L’Ermitage (Salle Jacques Giguère), 3510, chemin de la Côte-des-Neiges, in Montréal. One of Canada’s most distinguished journalists, Galipeau, who has anchored the flagship news program Le Téléjournal since 2009, earned her reputation as a foreign correspondent early in her career with Radio-Canada. Recognized for her humanitarian vision and the clarity and intelligence of her reporting, she has covered wars in Chechnya, Kosovo, Iraq and Afghanistan. Galipeau is particularly known for her reports on women’s issues, including such difficult subjects as the traditional binding of the feet of Chinese women and the immolation of Afghani women. Galipeau’s talk will focus on challenges facing journalists today: security risks, the multiplication of information sources, the lack of financial resources and the consequences for democracy. Whether journalists will be able to continue to exercise their role as democracy’s watchdogs, given traditional media’s limited financial resources, or will political accountability be eroded by lack of critical coverage and analysis. A panel discussion will follow Galipeau’s address. The panelists, all alumni of the Jeanne Sauvé Foundation’s Scholars Program, will be joined by Galipeau, and will contribute personal perspectives as journalists and young leaders in ‘media-challenged’ regions. Panelists include Gerald Bareebe, a Ugandan investigative journalist whose reporting dominated local and international media throughout the country’s 2011 presidential election; Adam Daifallah, former member of the National Post editorial board and Washington, D.C. correspondent of the New York Sun; Dawa, Bhutan Broadcasting Service’s award-winning broadcaster and anchor; Mirwais Nahzat, regular media commentator and contributor to several Canadian documentaries on Afghanistan; Jonathan Sas founder of Press Progress, former editor-in-chief of The Mark News and author of a media criticism column for The Tyee. The annual Jeanne Sauvé Address celebrates the vision and values of the late Right Honourable Jeanne Sauvé. Announcing this year’s event, Jean-François Sauvé, Jeanne Sauvé’s son and Chairman of the Foundation that bears her name, evoked his mother’s reputation as an astute political journalist and analyst of public affairs on both English and French radio, in the emerging media of television, and in the written press. The premier public event of the Jeanne Sauvé Foundation, the annual Jeanne Sauvé Address celebrates the vision and values of the late Right Honourable Jeanne Sauvé, whose career that represented many firsts – the first female MP elected from Quebec to become a federal cabinet minister, the first woman to serve as Speaker of the House of Commons and as Governor General of Canada – is an enduring inspiration to today’s young leaders. Others who have delivered the address include former Governor General Michaëlle Jean, Canadian journalist and humanitarian Sally Armstrong, Canadian Truth and Reconciliation Commissioner Marie Wilson, and Sheema Khan. To get more information, go here.